Google is embroiled in yet another legal entanglement as U.S. and EU regulators look into the company’s alleged bypassing of iOS users’ privacy settings. Last February, The Wall Street Journal reported that the company had installed tracking cookies on computers, iPhones and iPads even if users had set preferences to block such tracking. The investigation is expected to last years and could lead to sanctions. We will of course cooperate with any officials who have questions. But it’s important to remember that we didn’t anticipate this would happen, and we have been removing these advertising cookies from Safari browsers. Last year, Google agreed to settle charges of “misrepresenting” its privacy practices to consumers. Now, the Federal Trade Commission is investigating whether the company violated that agreement. If it did, it could be fined $16,000 per violation, per day. In Europe, France’s Commission Nationale de l’Informatique et des Libertés is also investigating the latest Safari privacy problem. CNIL fined Google last year approximately $130,000 for collecting passwords and other private information through the Google Street View map service. In light of these recent circumstances and Google’s decision to drop its long-held motto of “Don’t be evil,” what is next for Google? 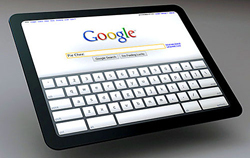 PR Week reported that Google interviewed several PR firms to help it spruce up its image. Maybe it will help, but maybe Google should think about not abusing its market dominance.